Between his string of hits with the Doobie Brothers and his solo career, five-time Grammy winner Michael McDonald seemed to be everywhere in the early-'80s, but the songs that featured his distinctive voice only told part of the story -- he was also a busy songwriter whose list of credits included a surprising collaboration with Van Halen. McDonald found himself called into service during the sessions for Van Halen's '1984' album, when the group got stuck on the track that ended up serving as the record's second single, 'I'll Wait.' Producer Ted Templeman worked extensively with McDonald during his tenure with the Doobie Brothers, and the duo continued their working relationship after the band splintered, with Templeman producing McDonald's 1982 solo debut 'If That's What It Takes' and serving as a co-producer on the follow-up, 1985's 'No Lookin' Back.' When he heard Van Halen needed help finishing 'I'll Wait,' he knew who to call. "Ted Templeman called me up and said, 'Hey, these guys have a track and they need some lyrics, so I mentioned you could do it and they said fine, so why don’t you come down?'" 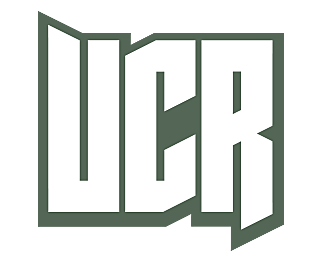 McDonald tells UCR. "He sent me the track, and I got some ideas going so I’d have something when I got to the studio." Although he swears the experience "wasn't exciting," it's still fun to imagine McDonald meeting up with David Lee Roth for the writing session that ultimately got 'I'll Wait' into shape. "I met David Lee Roth at Ted’s office. That was, uh, an interesting experience," chuckled McDonald. "He kinda liked what I had going, so we sat there in the office with the demo playing on a cassette recorder, singing lines and melodies." As Van Halen fans know, the songwriting credits for the '1984' album were in a state of flux for years, with McDonald's name appearing on some versions of the album while remaining absent from others. When the album was remastered years later, McDonald was again listed as a co-writer for 'I'll Wait,' and the disappearing act didn't escape his attention. "I guess they thought I was Santa Claus, because I had to go chasing them a little bit on that one," he laughed. "It’s probably one of the most-played things I’ve ever written, just because it's Van Halen. That album sold three or four million copies right away, which was a really big deal at the time." Even though McDonald collaborated with some of of the era's biggest artists, writing and singing with Kenny Loggins, Carly Simon, Christopher Cross, and Toto -- among many others -- he's so self-effacing that when talking about his role in these recordings, he can come across as an ordinary guy who became a successful songwriter by virtue of circumstance. "I think that’s true, unfortunately for me," he nods. "I have friends who write all the time, and I envy them terribly. I love to write songs, but they don’t come easy to me -- I spend a lot of time writing really dumb stuff that I have to look at the next day and think, 'God, what was I thinking?' That’s my process, is just to go through a lot of dumb stuff and hope that after a lot of hard work, I’ll find a good idea." Reminded that every writer is familiar with the pain of that process, McDonald laughs, "Everybody goes through that to a certain extent, but it never came easy to me. It’s a process I used to romanticize, but ultimately, I always felt kind of like Walter Mitty if he woke up actually climbing Mount Everest. When it came to the next album, it was always, 'Oh my God, what am I gonna do?'"